Participants wait for the start of the 2nd Annual Santa's Toys for Tots 5K Walk & Run at Sgt. Juan Rodriguez Pavilion on Saturday, Dec 16, 2017, in Edcouch. 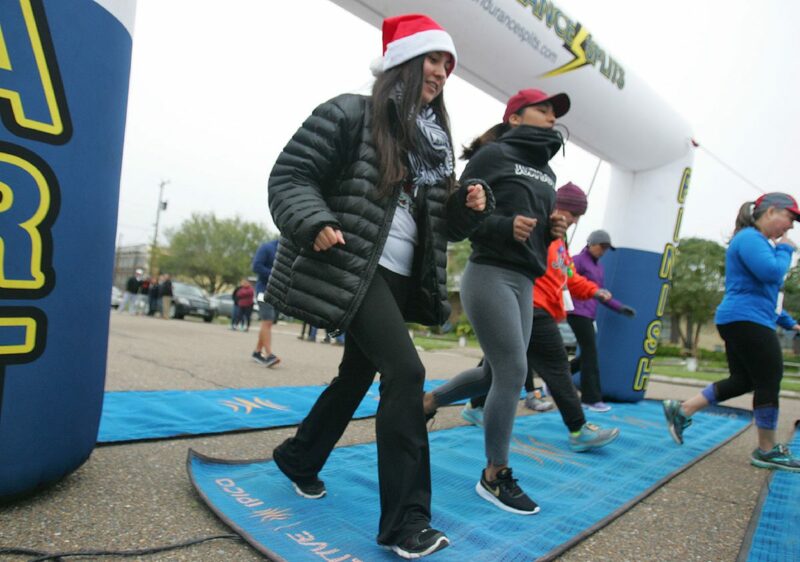 EDCOUCH — In spite of the wintry weather Saturday morning, a small group of dedicated runners showed up for the 2nd Annual City of Edcouch Santa’s Toy for Tots 5K Walk and Run sponsored by state Rep. Oscar Longoria. Held at Sgt. Juan Rodriguez Pavilion in the city park, the festivities took place with music to get the adrenaline flowing before the start of the race. Participants were asked to think of the less fortunate children and give them the experience of Christmas by contributing a new and unwrapped toy. Longoria, D-Mission, said he was hesitant to hold the event due to the weather conditions, but went forward with the race. Runners dress in warm clothing as they participate in the 2nd Annual Santa's Toys for Tots 5K Walk & Run at Sgt. Juan Rodriguez Pavilion on Saturday, Dec 16, 2017, in Edcouch. 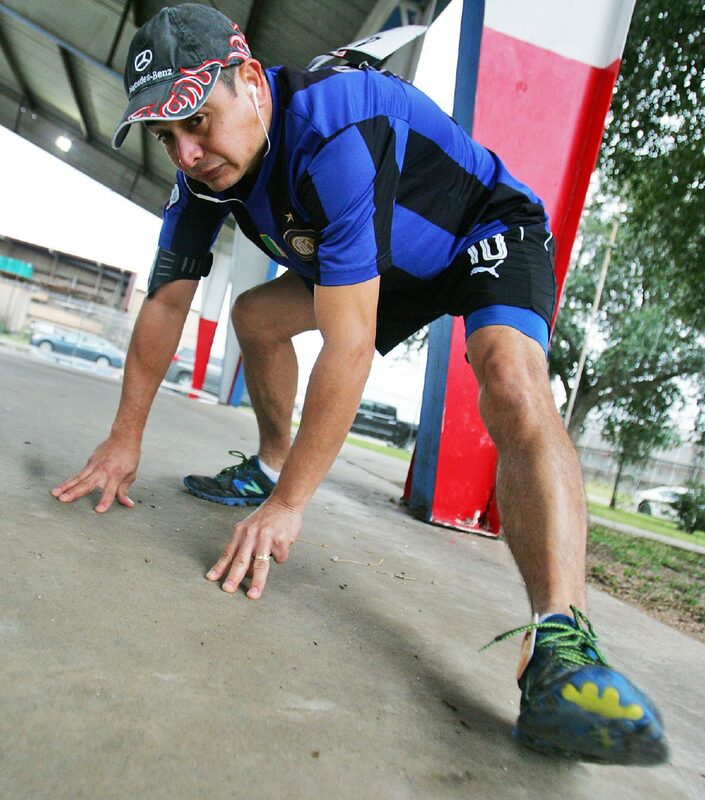 Participant Manuel Olivares stretches before the start of the 2nd Annual Santa's Toys for Tots 5K Walk & Run at Sgt. Juan Rodriguez Pavilion on Saturday, Dec 16, 2017, in Edcouch. 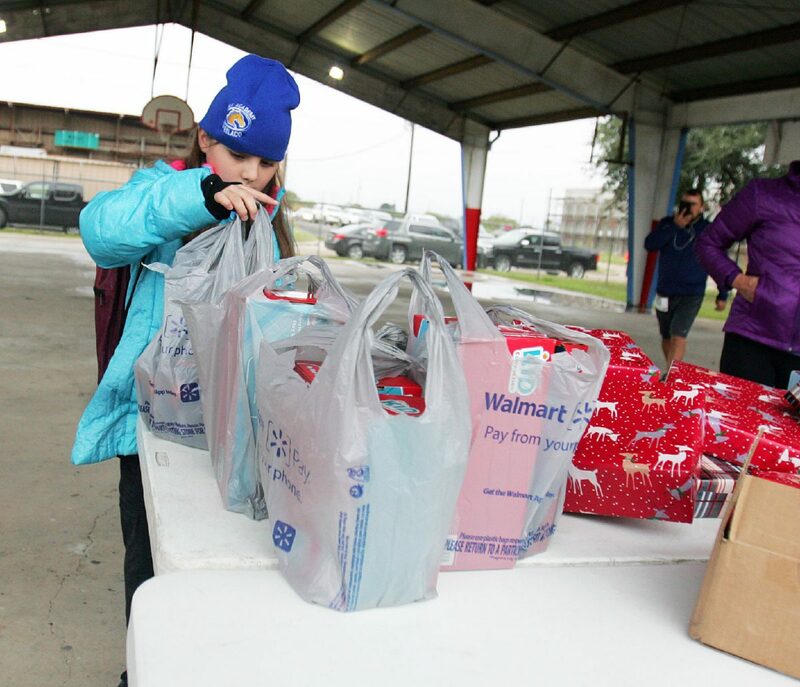 Adriana Flores, 9, donates a toy at the 2nd Annual Santa's Toys for Tots 5K Walk & Run at Sgt. Juan Rodriguez Pavilion on Saturday, Dec 16, 2017, in Edcouch. Longoria added that he holds the drive due to the large number of families living in poverty in the area. Even with the weather being gloomy, the annual event collected more than 40 toys. 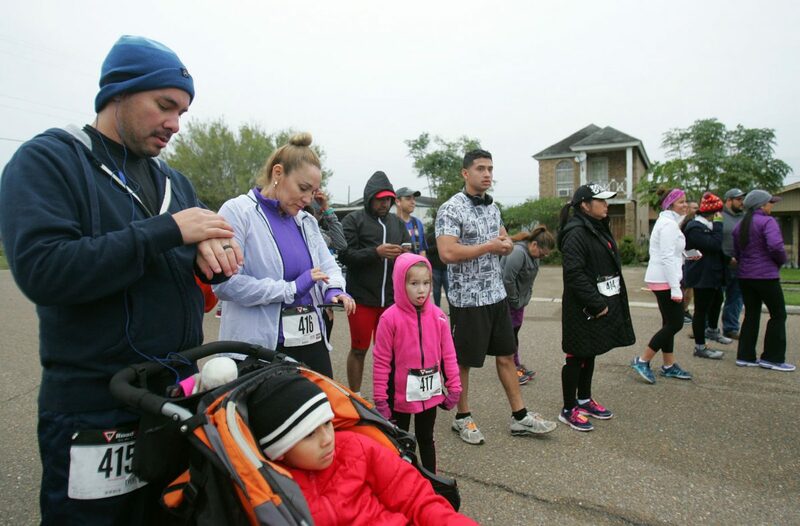 Elsa resident Liz Betancourt said she ran the 5K after reading about it on Facebook, adding that she wants to support her community in their efforts. “It’s a good cause toys for kids, especially for the community – Edcouch,” Betancourt said. Jorge Garcia of Mission took his son and Jorge’s sibling, Zoraida, who lives in McAllen, took her daughter for a teachable moment. “To give for the little kids and to teach the kids that it’s a good thing,” Zoraida said. “He (Oscar) posted it on Facebook and we read about and so we thought we bring some presents to teach the kids about health and to give to the communities in need,” Jorge said. When the race was over, the toys were transferred to Edcouch city hall. The items collected Saturday will be combined with the rest that has already been collected and they will be distributed to the residents of the area this week.